CommonWealth Central strikes a chord with a campaign that builds excitement among staff, members, and community. 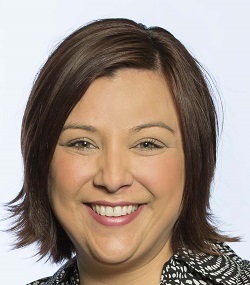 CommonWealth Central Credit Union ($522.3M, San Jose, CA) rode the power of an innovative marketing campaign to earn the prestigious MACQUEE Award at this year’s Marketing Association of Credit Unions (MAC) Conference. Entering its 60th year and confronting a highly competitive, overbanked market in the heart of California’s Silicon Valley, CommonWealth recognized it needed a new approach to growing membership and building deeper relationships. Without using an outside agency, the credit union’s internal marketing team built a comprehensive, multi-channel campaign from scratch around the concept of #RelationshipGoals. Although the campaign featured a trendy hashtag and relied heavily on social media, traditional direct mail also played a critical role. CommonWealth sent mailers to existing members living near one of its five branches. The collateral promoted the credit union’s online banking, mobile banking, and self-directed personal financial management tool via irreverent messaging like, “We have something great going on here, but how can we make our relationship even stronger?” Messages like, “If you love CommonWealth, why not share the love?” offered members $50 for friends and family referrals that resulted in a new checking account. Beyond direct mail, the campaign also was supported by in-branch posters, digital signage, and referral cards. Armed with information sheets, branch staff competed for a new Amazon Echo or Echo Dot and tracked their individual campaign results through internal leader boards. Members who opened a checking account or signed up for a new online service also were eligible to win an Amazon voice-enabled device through a separate contest. Finally, CommonWealth promoted the #RelationshipGoals theme through both organic and paid social media postings. CommonWealth regularly posted on both Facebook and Instagram, offering special checking account deals and encouraging the referral program, all while actively using the hashtag to extend reach and engagement. The formal campaign ended in May 2017, but the credit union still uses the #RelationshipGoals messaging and hashtag on social media today. Request an audit to manage your local online brand reputation today. The multi-pronged approach has paid off. CommonWealth set a target of 10% year-over-year lift in new memberships and checking accounts during the formal campaign. It achieved that and more — opening 27% more checking accounts and recording a 19% increase in new members during the campaign versus the same period in 2016. And the campaign continues to pay dividends. The referral program remains active, with 38% of new members in 2018 coming directly from member referrals. These members are also skewing younger. Fifty-seven percent of new members who joined in 2018 are between the age of 18 and 44, compared with 54% of those who joined in 2017. 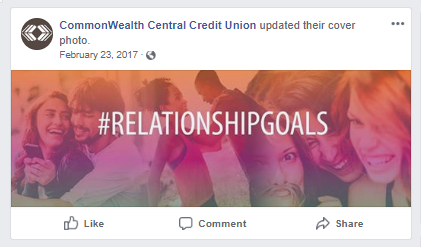 Click through to see the posts and results of the credit union's #RelationshipGoals marketing campaign. CommonWealth Central's #RelationshipGoals marketing campaign earned the MACQUEE Award at this year's MAC Conference. 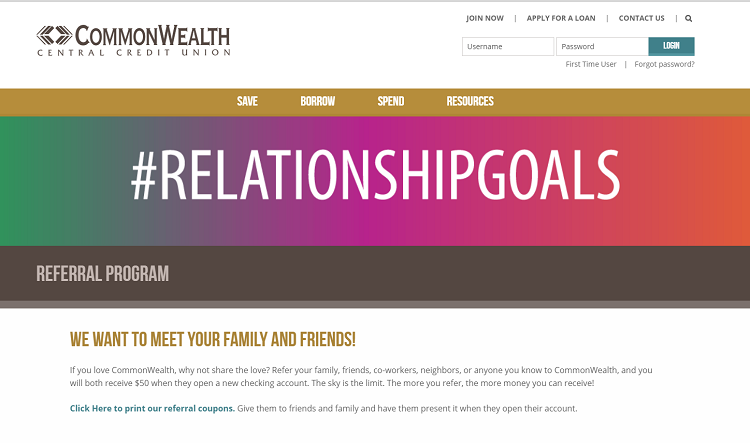 Recognizing the need to grow membership and deepen relationships in its competitive market, the credit union's internal marketing team built the #RelationshipGoals campaign from scratch. 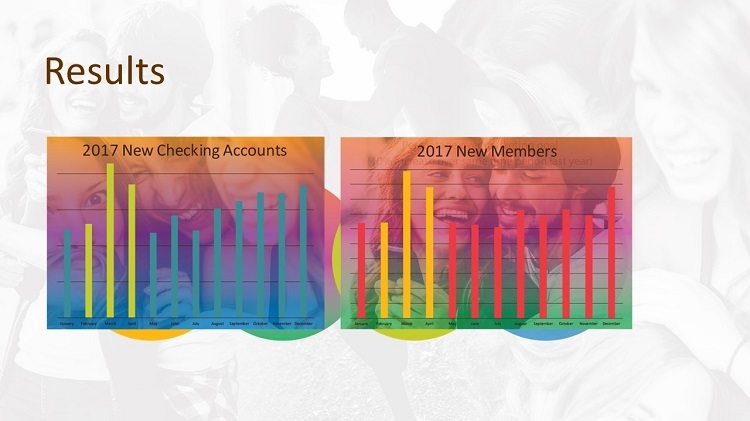 The campaign helped the credit union open 27% more checking accounts and record a 19% increase in new members during its run versus the same three-month period in 2016. 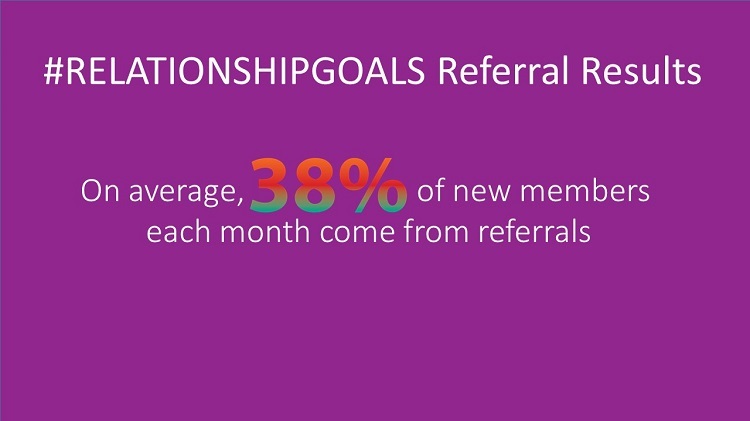 The #RelationshipGoals referral program remains active, with 38% of new members in 2018 coming directly from member referrals. The campaign’s impressive results coupled with its fresh approach were enough to earn CommonWealth a 2018 MAC Gold Award. The credit union went on to win the prestigious MACQUEE Best in Show Award, which was decided through live audience voting at the May 2018 MAC Conference in San Diego. According to the organization’s website, MAC is “the only association run 100% by an elected volunteer board of directors who ‘daylight’ as decision makers in top credit unions throughout the country.” For D’Amico, this peer confirmation made CommonWealth’s MACQUEE achievement even more rewarding. Taking a moment to reflect following the 2018 MAC Conference, D’Amico considered the broader impacts of the campaign. For example, CommonWealth began offering a new high-yield savings account this year and used the #RelationshipGoals messaging to generate excitement around the product among non-members. For D’Amico, the biggest takeaway from the campaign is that fresh, irreverent approaches can be successful. And if it resonates with members, chances are, employees will like it, too. Long-term, D’Amico hopes to leverage the success of the #RelationshipGoals campaign to drive even more employee and member engagement.